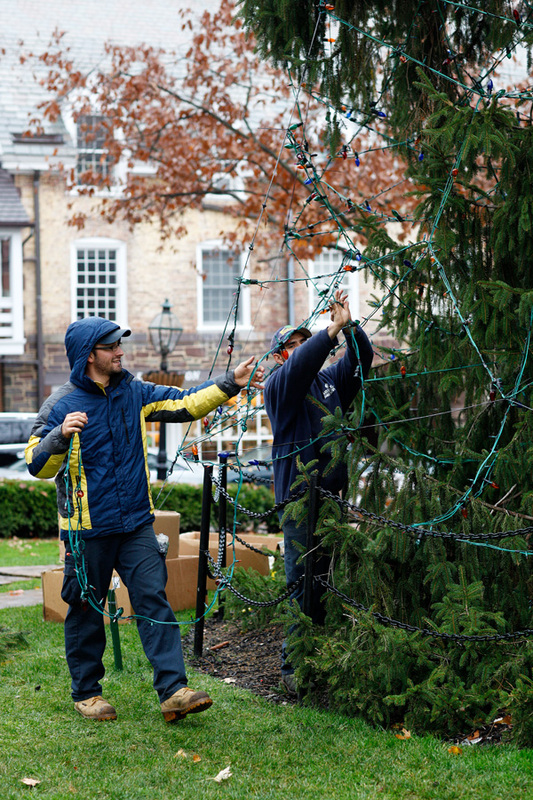 Workers kick off Princeton's Holiday Season by hanging 32,000 multi-colored lights on the magnificent Norway Spruce (Picea abies) in Palmer Square. From noon until 2 pm every Saturday and Sunday throughout December and on Christmas Eve, musicians, carolers, and Santa himself will be making merry around the tree. All rights reserved. All content subject to U.S. and international copyright laws. Do not reproduce for any reason without express written permission.